Are you one of those who thinks that scuba diving is too much of an effort and can turn out to be very tacky; but at the same time, you are very curious to explore the divine ocean blues? If yes, then what we’re going to talk about next will totally make you smile ear to ear. 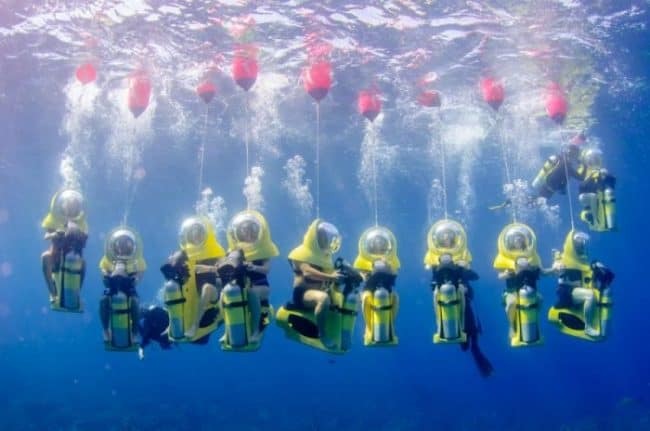 It’s called Scuba-dooing which is unique yet simpler way to have access to the underwater world without having any prior training or swimming experience. 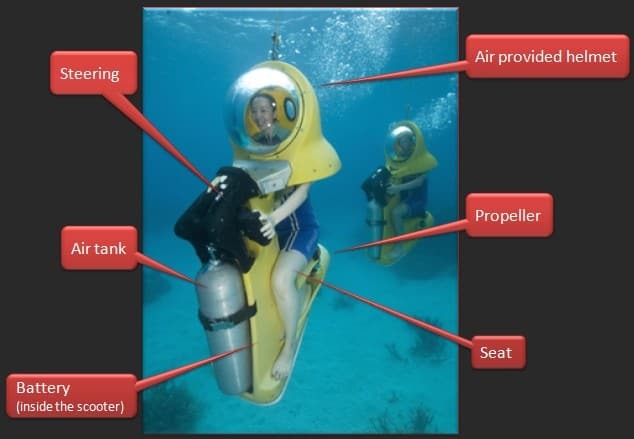 Scuba Doo is a motorised underwater bike on which you ride and is totally under your control. It is basically designed for people who have minor disabilities like weak eyesight, breathing problems so that they can easily wear their spectacles or lenses even underwater. 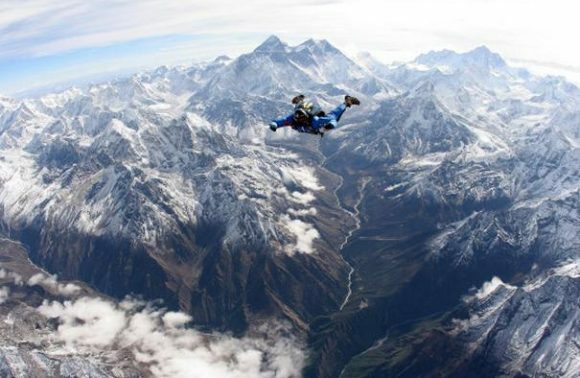 The obvious advantage of this innovative design is that your head and shoulder area are covered with a clear dome which is being replenished by the air that you inhale, making a perfect land kind of an atmosphere for the rider to breath properly. 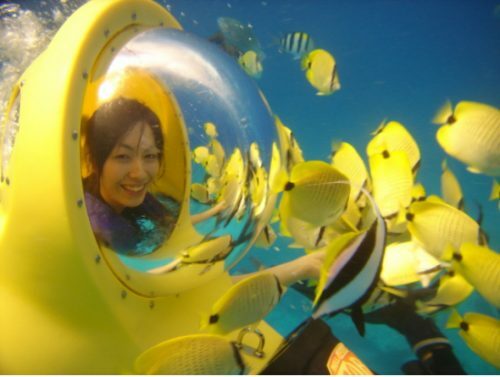 Also, the dome provides 180 degrees view of the splendid underwater world. 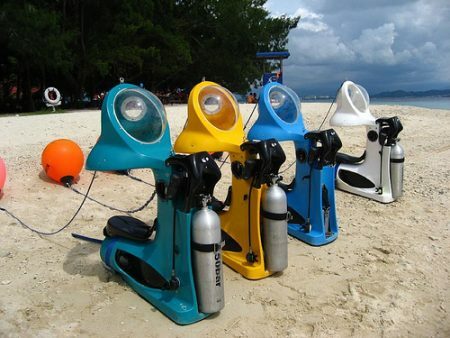 All the burden that you are expected to carry while doing scuba diving is transferred to these uber-cool scuba doo bikes. 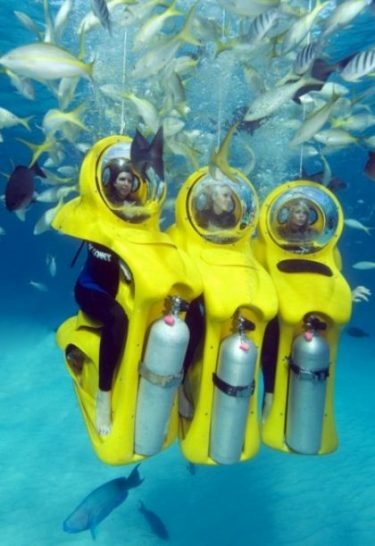 This ensures total elimination of traditional scuba diving apparatus i.e. the mask, mouthpiece, oxygen tank (which is of course attached to the scooter). 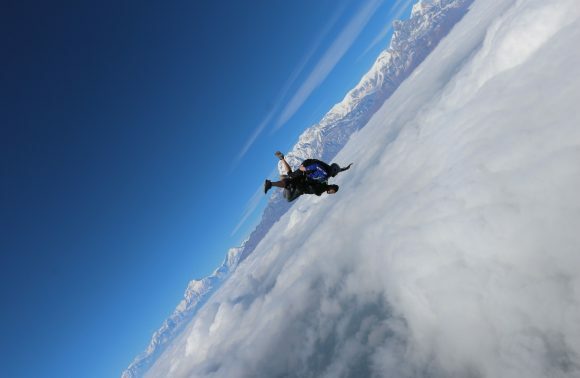 Another advantage is that there is no unnecessary exertion and fatigue. It’s just like going for a bike ride but underwater of course. The bike has a propeller attached at its back which helps your cruise through the water easily and if at you wish to halt in between to take pictures or take a closer look at some species you can totally do that. The battery life of the scooter lasts for about 1.5 hours. You are taken down to the maximum depth of 10 meters where you will be cruising at the rate of 2.5 knots. 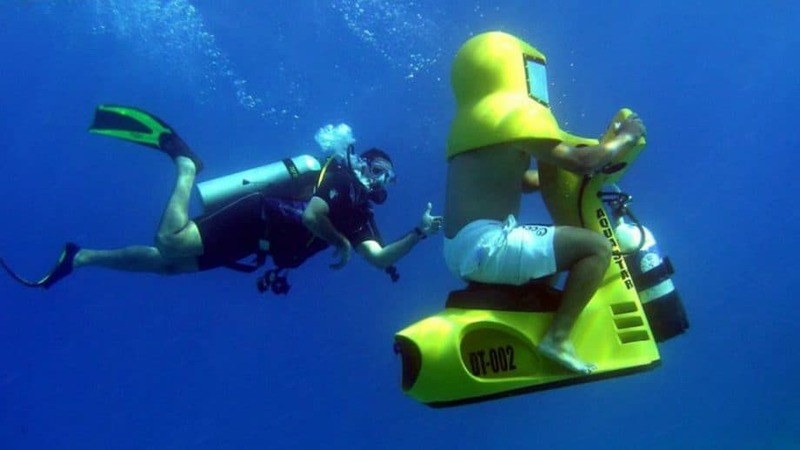 Some of you might wonder that riding a scooter on road and riding it under water is a different thing altogether! Well, yes! Riding it under the water is a lot easier! Unlike the scooters we ride on the roads these scooters do not need balance. They literally go with the flow of the water and the movement of the propeller. Still not convinced? Worry not. 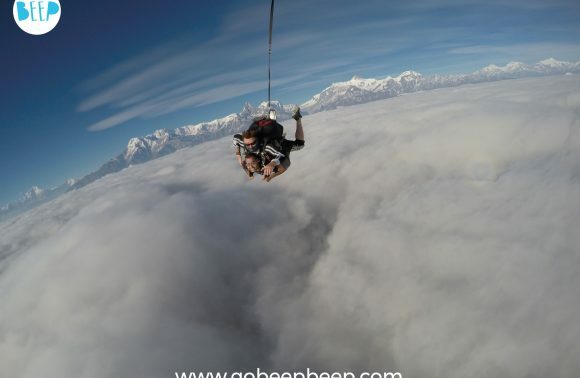 A master diver will always accompany you to this Scuba Doo adventure. The scuba doo’s have a steering wheel, two accelerator pedals and a single button to bring you back to the surface of the water. 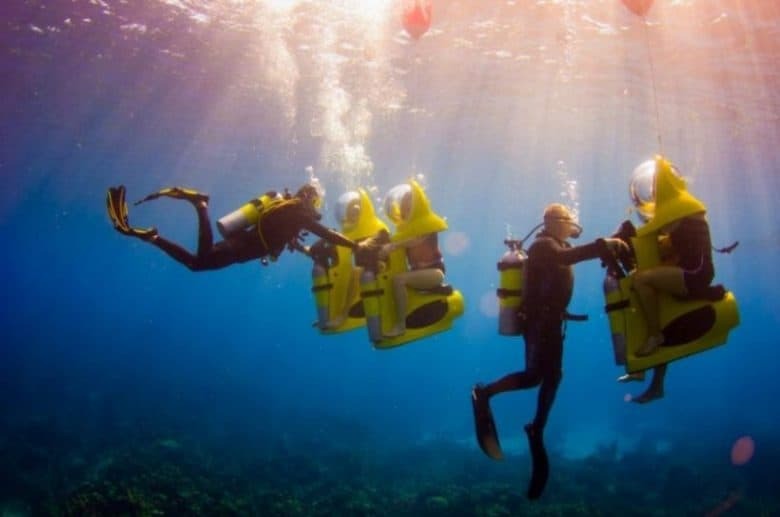 So the next time when you are in Mexico, the Caribbean, Australia, the Philippines, Bahamas, Malaysia, Maldives or on any other tropical island, do look for these super cool uber-fun scuba doo rides to fulfill your dream of exploring the world of blues!